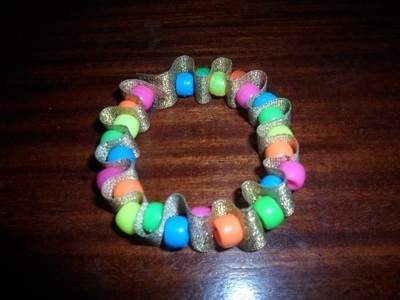 This bracelet is one that girls will love to show off. 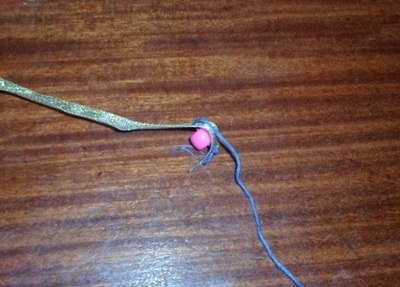 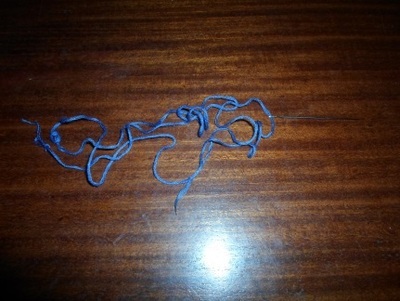 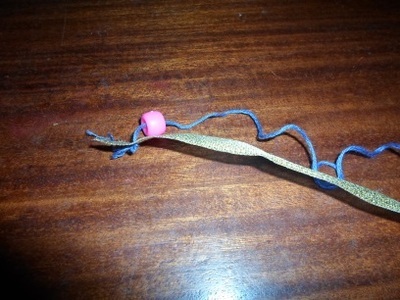 Tie a knot at one end of the string and thread the other end through the needle. 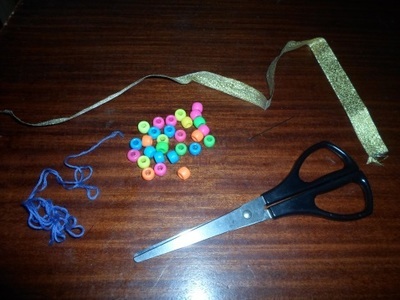 Start your sewing by piercing the ribbon first (it acts as a buffer so the first bead doesn’t fall off, as its hole might be bigger than the knot). 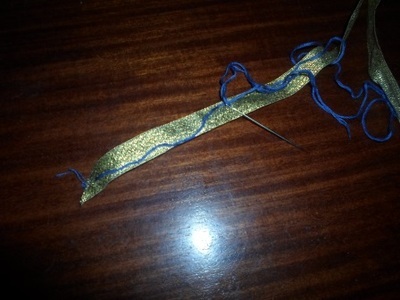 Go back through the ribbon again. 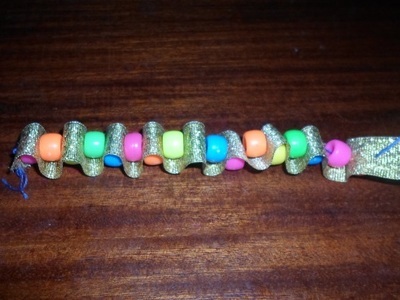 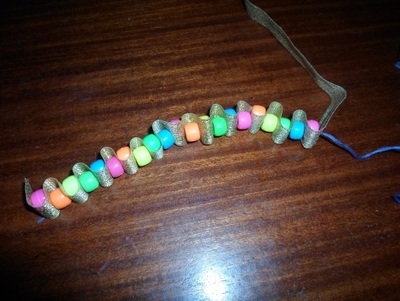 Repeat the process until the bracelet is long enough to comfortably fit over a hand.